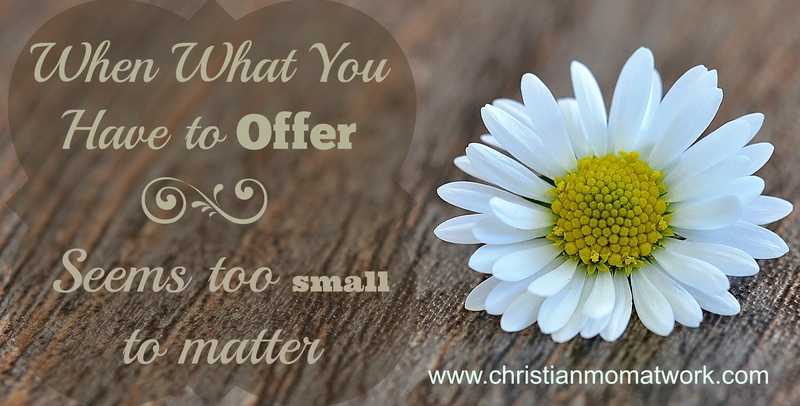 Do you ever feel like what you have to offer is too small to be of any use? Whether it be musical talent, speaking ability, hospitality, finances or even time; I often feel as though what I can give is so much smaller than what others can do that it is insignificant, unimportant, or even useless. 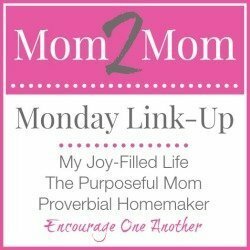 How can God use our little bits when others can give so much more? I find myself stuck in this train of thought all too often. But God is good, and he often sends me reminders of His love and care for me. And He shows me that while he doesn’t necessarily call us to do GREAT things (though there are many who WILL do great things), He does call us to do GOOD things! These are wonderful verses that tell us a great deal about what God would like us to do, or at least HOW to do, things here on Earth. But what if you are like me, and you like to know a little more specifically what God wants us to do? Even the disciples, who had seen Jesus perform countless miracles, doubted what this small offering could do for this large crowd! Yet a young boy, who could plainly see how pitiful his small amount of food seemed in comparison to the need, was WILLING to give what he had, in spite of how meager it must have seemed. And what happened next? After everyone had been filled, there were twelve baskets of leftovers! Jesus could easily have rained manna from Heaven, just like the Israelites had experienced in the wilderness, yet He used a small boy’s lunch to bless a great crowd of people. God rewards our willingness to be a blessing by giving the increase! Obviously, this was the last of the food that she had for her and her son, and did not see a means to get any more. She was in a desperate situation for sure! Elijah told her to go in and make a small cake for him first, and then make something for her and her son to eat afterwards. Even though he promised that God would make sure that she did not run out of meal or oil, I have to think that was not an easy decision to make – to feed her son or this stranger with a very unusual promise. Yet, she was OBEDIENT and did as he told her, and was blessed for her small act of kindness, which not only failed to deplete her supplies, her household was able to eat for MANY days on the repeatedly replenished meal and oil! Neither Mark nor Luke tell us of any blessing the widow, or anyone else, received because of her actions. Yet, we can see that Jesus clearly thought more of her small gift than the gifts of those who had much to put in. Through these verses, we can know that when we have little to give, but make the SACRIFICE for the Kingdom of God, it pleases God – regardless of how useless WE may think our offering is. So in the end, no matter how meager your talent, your time or your finances may be, be moved to action and trust GOD to give the increase!